Ariana Grande's latest album Thank U, Next has had the biggest streaming week ever for a pop album. Billboard, which runs the US music charts, reported the news after the star scored her second album number one in fewer than six months. The album saw a massive 307 million on-demand audio streams. To put that in context, Ed Sheeran's ÷ recorded 126.7 million, which had held the pop record before. Drake's album Scorpion currently holds the record for most streams, with 745.9 million on-demand audio streams in its first week. Thank U, Next is only album in the top 20 largest-streaming albums for one week that isn't a hip-hop album. 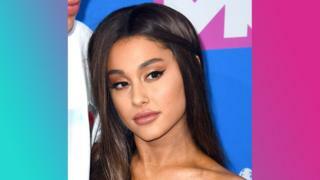 It was released on 8 February, shortly after Sweetener took the top Billboard spot back in September, meaning there were just five months and 22 days between the chart-toppers. This hasn't been done by a woman since 1974-75 when a singer called Olivia Newton-John got a second number one after five months and three days. K-Pop A-listers BTS waited just over three months for their two number ones for Love Yourself: Tear on 2 June 2018 and Love Yourself: Answer on 8 September. What do you think of the album? Have you been listening or not? Let us know in the comments below!